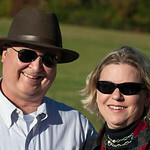 Cloverdale Photography is a husband (Bill) and wife (Tracy) photography business based in Stanardsville, Virginia. We have worked in the photography business professionally for over nine years. Before we launched our business we both took years of photography courses and had a deep interest in photography (both artistically and mechanically). Our style and approach to photography is simple, bold and classic while striving for perfection. We will go out of our way to ensure our clients have the best experience during our photo shoots. We enjoy our clients and realize that relaxed and happy people take the most natural and relaxed photos. It is our goal to have fun together. We have been married for more than twelve years and have three children, one grandson and a granddaughter. We also have a rescue terrier puppy named Buddy who is exhausting but a huge part of our family. Can you trust us with your photography project? The answer is a big yes! We have experience with varied photo shoots, and more importantly have happy clients. We are happy to come to you and take that special photo at that special location that will be near and dear to you. Our artistic images utilize sunlight, shadows and texture in every shot. Our mission is to make your photography experience an enjoyable one with professional results at an affordable price. Together we will capture images today that become your memories of tomorrow.